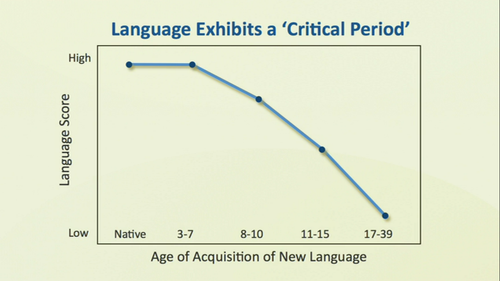 This graph from Patricia Kuhls Video is Interesting. 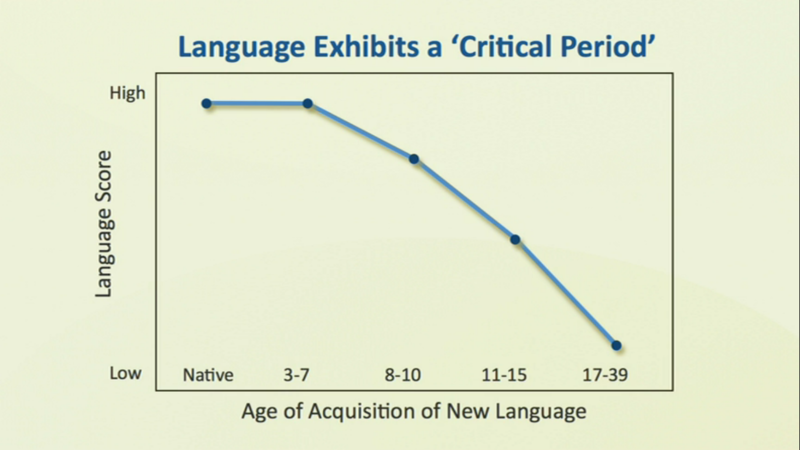 We are seeing that the ability to become native/bilingual in any language is between 0~3-7, but even then in my experience if the child hasn't started before 3 it will be hard to gain that level. Especially If they live in a country where they are wanting to speak a minority language i.e English 英語 but the majority language is Japanese . So learning from a Native speaker ネイティブスピーカー　as soon as possible I of the utmost Importance.